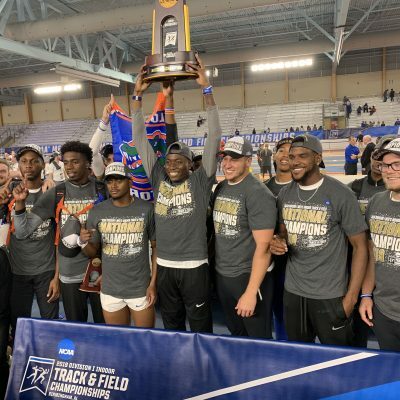 The final meet of the 2019 indoor track & field season is upon us: the NCAA Indoor Championships in Birmingham, Alabama. We’ll be on-site at the Birmingham CrossPlex starting Thursday, and are previewing all of the distance events beforehand so you can get ready for what is always an exciting meet. 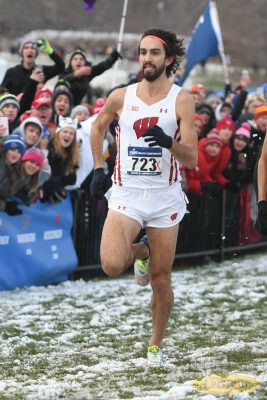 Today we’re looking at the long distance races at NCAAs, and it’s possible that a Wisconsin Badger wins all four as stars Morgan McDonald and Alicia Monson will both be attempting the double. 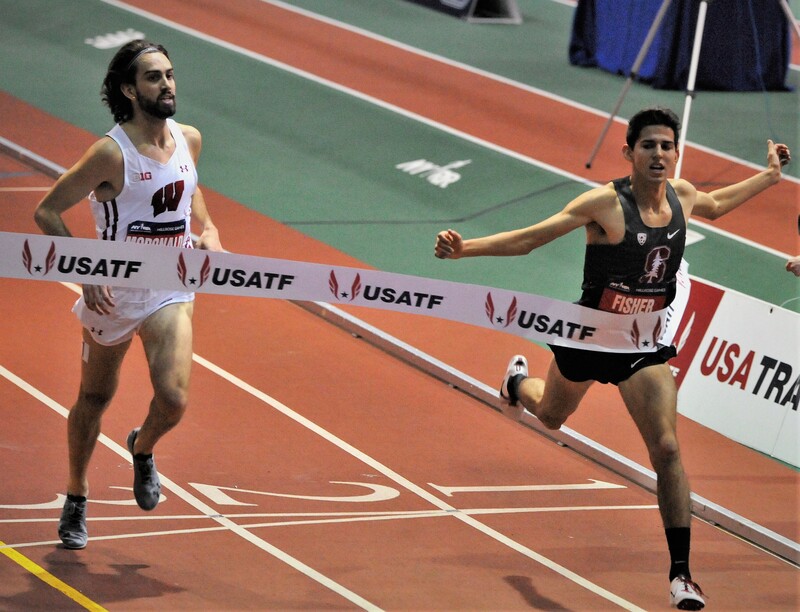 While McDonald is a strong favorite in the men’s 5k, the other races are very much up for grabs as McDonald will face Stanford star Grant Fisher in the 3k. Monson will have to take on NCAA champs Ednah Kurgat, Sharon Lokedi, and Allie Ostrander plus New Mexico dynamo Weini Kelati in the 5k. 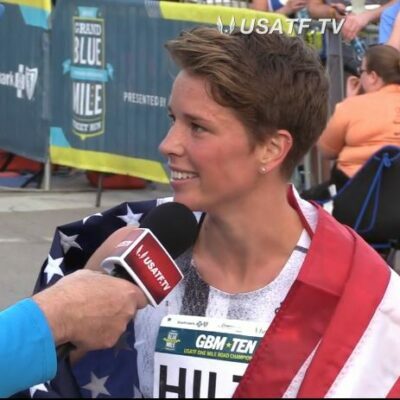 In the 3k, she’ll have to face that same foursome (minus Lokedi) plus NCAA 1500 champ Jessica Hull of Oregon. We break it all down below. We’ll be shocked if Wisconsin’s Morgan McDonald doesn’t win this race. Less than four months ago, McDonald won the NCAA XC title, and that’s a very good indicator; the last five times the NCAA XC champ has run the NCAA indoor 5k, the NCAA XC champ has won the race. McDonald’s qualifying time of 13:37 only ranks him sixth, but he achieved it in a dominant solo effort at Big 10s in a race he won by 16 seconds. Then you remember that he’s run 13:15 outdoors — no one else in the field has broken 13:30 — owns the best wheels in the field (3:55 mile pb). This time last year, McDonald was beating studs like Stewart McSweyn and former NCAA champs David McNeill and Patrick Tiernan to win the Australian 5,000 title. No one is going to be able to drop McDonald, and he’s going to be really tough to beat in a kick. Campbell’s Amon Kemboi is the top returner from the NCAA outdoor final (5th) and has been in good form this year indoors; he ran 7:44 for 3k at Millrose, just two seconds behind McDonald, and is a threat in a fast race. Another man that will be in the mix is Colorado’s Joe Klecker, who has the fastest non-McDonald PR in the field (13:30) and has been running great recently, winning the Husky Classic 5k and finshing second in the MPSF mile. 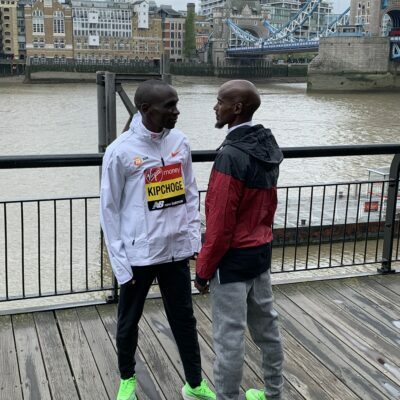 Kemboi beat him at NCAA XC, but they were credited with the same time, which should make for a great battle in this race. Vincent Kiprop of Alabama, last year’s indoor runner-up, has not been as good this year (6th and 3rd in the SEC 3k/5k) and we don’t expect him to contend. 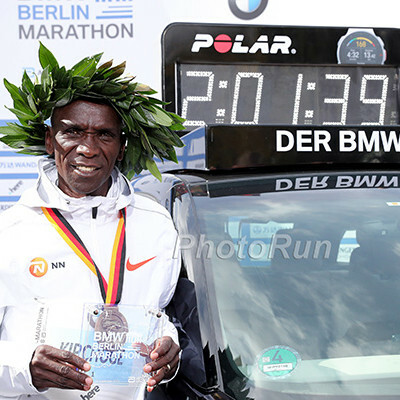 LRC prediction: McDonald FTW, with Klecker edging out Kemboi for second. 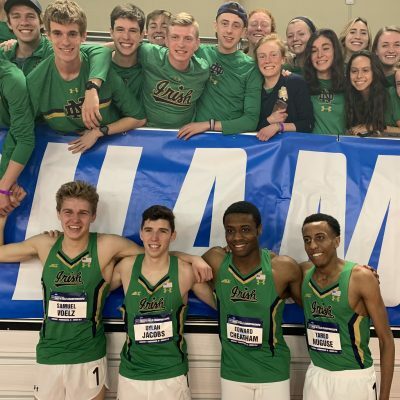 Who will win the men's 5k at the 2019 NCAA indoor champs? This is a far more interesting race than Friday’s 5k final. While McDonald seems like close to a lock in that race, in the 3k he’ll have to face Grant Fisher — who has already beaten him once this year, at Millrose — and will be running on tired legs. And while that is something most of the athletes in the field will have to deal with (Fisher will also have run the DMR the night before), it’s worth pointing out that McDonald has never doubled at NCAAs before. While McDonald is good enough to double back and win both events, we should not assume that it will be no problem for him — especially if he runs the DMR on Friday as well, which we’ve heard is not out of the question (but think would be really stupid). Year 5k champ Doubled back? Won 3k? Considering the battles they’ve waged, everyone expects this race will come down to McDonald and Fisher, and we agree. Both have already won NCAA titles, both have fantastic kicks, and both have already won one head-to-head showdown this year (McDonald at NCAA XC, Fisher at Millrose), making this race the rubber match. In an ideal world, McDonald wins the 5k on and Fisher anchors Stanford’s DMR, putting the unofficial title of “King of NCAA Distance Running” on the line in Saturday’s 3k. LetsRun.com was there in person to watch McDonald vs. Fisher at Millrose, and though Fisher won that race, we came away from it thinking that McDonald was in slightly better shape. McDonald’s last lap was faster than Fisher’s (26.47 to 26.56) but Fisher won the tactical battle, staying in good position throughout the race and making sure he was in the lead at the bell. Tactics and positioning will likely decide Saturday’s affair as well. Perhaps each man is capable of closing slightly faster (we doubt NCAAs will be won in 7:42), but it’s very hard to close much faster than 26-low in an indoor 3k, no matter how slow the preceding 14 laps were. With two runners as evenly matched as Fisher and McDonald, it could come down to who handles the closing stages of the race better. That means getting to the lead by the bell — it’s the biggest advantage you can have an in indoor race — but it also means doing it smartly; there’s no use having the lead if you’ve already wasted all your energy just to get there. Which means the final kilometer is going to be telling. When will Fisher or McDonald make their move to the front? If you go early, with, say, 800 meters to go, you may not have to use as much energy to take the lead, but you’ll have to work harder for longer to protect it. If you leave it late, with, say 300 to go, you don’t have to worry about protecting it as much — everyone is going to be close to all-out at that point anyway — but it will require a harder move to actually get into the lead. It should be a fascinating battle. One other guy we should mention is McDonald’s Wisconsin teammate Ollie Hoare. 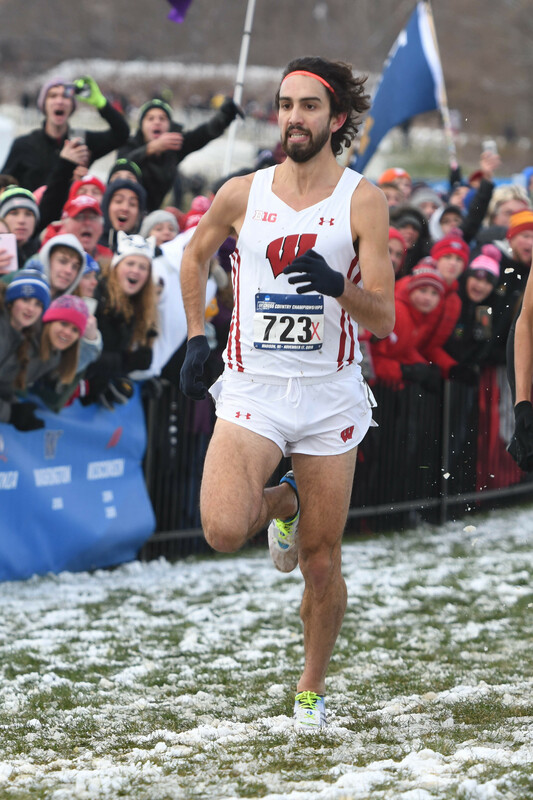 Like McDonald and Fisher, he’s an NCAA champ with a terrific kick, but the reason we haven’t mentioned him yet is because he’s also entered in the mile and will presumably be anchoring Wisconsin’s DMR as well. That means that the 3k would be his second final of the day (there are two hours between the mile and 3k), third in 24 hours, and his fourth race of the weekend overall (counting the mile prelims). As good as Hoare is, we just don’t see him being a factor after all that hard running, especially considering he’s never doubled at NCAAs before. LRC prediction: McDonald was the slightly fitter runner at Millrose but he got his tactics wrong and got beat. We think he learns from his mistake and takes down Fisher on Saturday. That being said, we guess should point out there is a reason they run the race. While we’d be STUNNED if McDonald or Fisher doesn’t win, last year’s NAU’s #4 man in xc, Andy Trouard, won the 3000 title in a stunner of Justyn Knight. Who will win the men's 3k at 2019 NCAA Indoors? On paper, this looks like a four-horse race between New Mexico’s Ednah Kurgat and Weini Kelati, Kansas’ Sharon Lokedi, and Boise State’s Allie Ostrander; those four women have run almost 10 seconds faster than the rest of the field and rank #4, #6, #7, and #8 on the all-time NCAA list. All of those women are studs — Kurgat, Lokedi, and Ostrander have all won NCAA titles, and Kelati was second at NCAA XC in November — but they all ran those times over three months ago at Boston University. A lot can change in three months. Kurgat may have won that race at BU, but she’s done just one individual race since then, running 8:59 for 3k in Seattle on February 8 and getting beat by five collegians in that race. 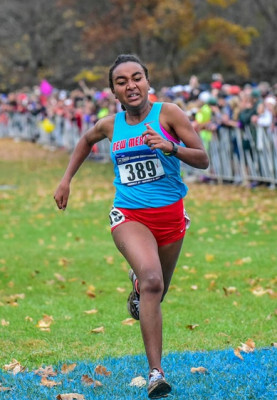 Of the four, we like Kelati the most, as she flashed impressive mile speed to win the Mountain West title (4:37 at altitude), defeating Ostrander in the process. She has also run 8:53 for 3k this year at Millrose — #11 all-time in the NCAA — despite getting caught up in a fall early in the race. If she tries to grind this field into submission, she’s going to be very tough to beat. It’s a strategy that worked well for her in the cross country season until she ran into a big kicker at NCAAs in Dani Jones, but there’s no one who can kick like Jones in this race. But it’s possible that none of those women wins the title as Wisconsin’s Alicia Monson has been on a tear this indoor season. 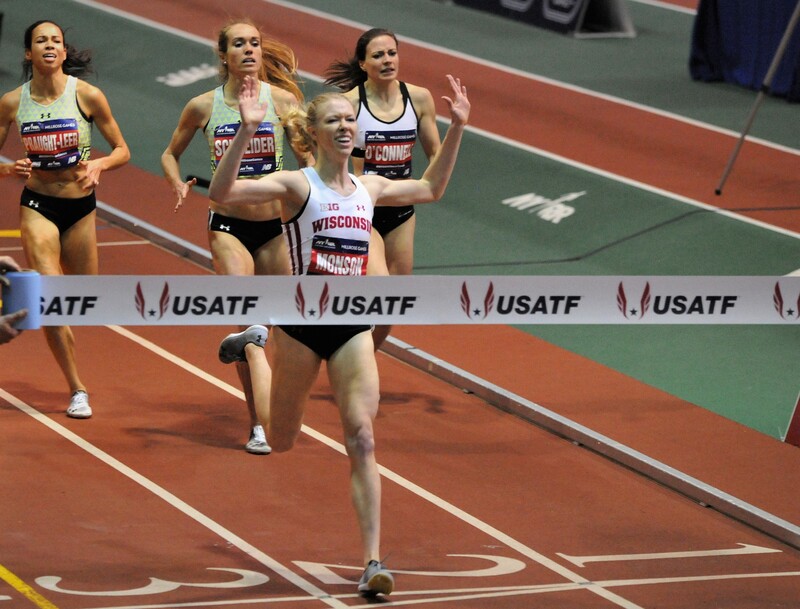 Back on January 26, she soloed a 15:34, and two weeks later at Millrose, she ran 8:45 for 3k — #3 all-time among collegians, behind only Karissa Schweizer and Jenny Simpson. Kelati did beat Monson at NCAA XC, but if this race goes out slowly, Monson will be dangerous. LRC prediction: This is a tough one, but we think Kelati goes out hard from the gun and (eventually) drops everyone. Monson is eight seconds faster over 3k, but the extra 2k favors Kelati. Kelati FTW. Who will win the women's 5k at 2019 NCAA Indoors? 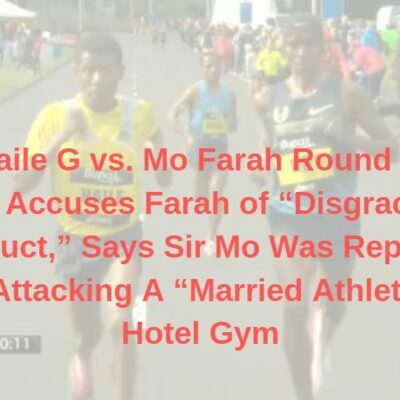 If you want to know who is going to win this race, normally we’d advise you to watch the meet on Friday, see who wins the 5k and DMR, and flip a coin. Because in each of the last six years, the winner of the NCAA 3k has either won the 5k or anchored the winning DMR team the night before. There are two natural candidates who fit the bill this time around: Kelati, who we just picked to win the 5k above, and Oregon’s Jessica Hull. 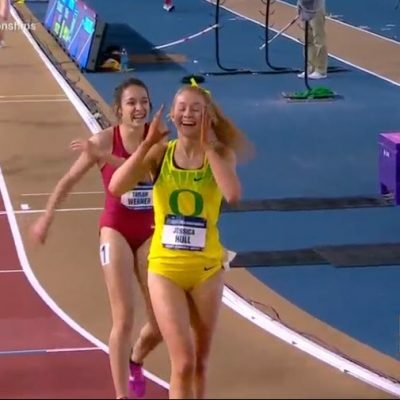 Hull is the NCAA 1500 champ, the NCAA XC runner-up, and was part of Oregon’s winning DMR squad last year. We also picked Hull to anchor Oregon to the win in the DMR this year, and she’s run a very fast 8:53 for 3k this year, just like Kelati. Either of those women would be a fine pick. But that’s not who we’re picking to win. When you dust a field of pros and run 8:45 like Alicia Monson did at Millrose — Rachel Schneider, Aisha Praught Leer, Emma Coburn, and Elle Purrier were among her victims — you become the NCAA favorite. And if Monson wins the 5k on Friday, we’re definitely picking her FTW here. LRC prediction: Even if Kelati wins the 5k, Monson is so good at the 3k that she could be the one to buck the trend of 5k/DMR winners in the 3k. Or she might just win the 5k and the 3k. Either way, we like her in the 3k. Who will win the women's 3k at 2019 NCAA Indoors?